The United States Department of Agriculture (USDA) created a loan program that allows borrowers to purchase a home with a zero percent down payment. More commonly, this mortgage product is known as the USDA loan program or Rural Development Guaranteed Housing Loan Program. USDA loans are issued through the USDA loan program and has helped over thousands of families buy and upgrade their homes in rural suburban areas. Why was the USDA Loan created? The USDA loan program is designed to “improve the economy and quality of life in rural America.” The program offers low interest rates and a zero percent down payment for eligible borrowers. Ultimately, this mortgage product helps people who live in rural parts of the country purchase a home who cannot afford a traditional loan. What are USDA loan qualifications? In order to qualify for a USDA loan, there are several guidelines to follow. For example, there are income limits that borrowers need to meet, which vary based on a borrower’s property location and household size. To find the most accurate loan guarantee limit, the USDA has created a map that illustrates the allowed loan limit, along with their corresponding geographical area and household size. The USDA program also requires the funds to be used toward the owner’s primary residency. Because the program allows borrowers to make as little as zero percent for a down payment, borrowers are required to purchase mortgage insurance (MI). MI is an insurance premium that only protects the lender if the borrower stops making payments. The program requires borrowers to manage monthly mortgage payments responsibly, which includes principal, interest, mortgage insurance and taxes. However, this total payment must be 29% or less of your monthly income. Other monthly debts cannot exceed past 41% of your income. Although, some lenders may make an exception of higher debt ratios to those who have higher credit scores above 680. The USDA loan program does not require borrower to provide a history of employment. However, it does require borrowers to show lenders a history of earning stable income for at least two years. This means, borrowers must prove to lenders they have a stable income of two years through either employment, child support or contract income. Lastly, in order to qualify for a USDA loan, your home must be located in an eligible region. Most locations include rural areas, and even some suburbs are eligible. Your specialized lender can help review which areas are eligible for a USDA loan. What are USDA credit score requirements? Not all lenders offer USDA loans, you must find a qualified lender that specializes in underwriting USDA home loans. Most commonly, the lowest credit score the USDA loan program can permit is 640. However, if borrowers have a credit score of 660 and above, they are more likely to receive better rates and terms, and have a higher rate of being approved. What are USDA loan limits? The USDA program has two sets of eligibility requirements – one regarding property eligibility and the other focusing on the applicant’s financial and credit eligibility. 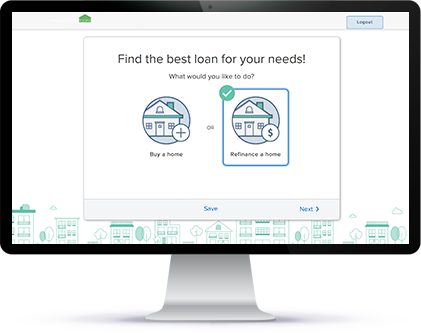 Both sets of requirements help determine a borrower’s loan income limit. A lender will evaluate an applicant’s gross income to determine their income eligibility. According to USDA guidelines, if a borrower’s income exceeds the maximum mark, they can make adjustments to their gross income to help them qualify. Your lender will require borrowers to provide at least two years of tax returns to help paint a clearer picture of their income. Usually, USDA loan limits are very generous. The goal of the USDA mortgage program is to help low to moderate-income families purchase a home in rural areas. A borrower’s loan limit varies depending on their income and property location. According to USDA guidelines, moderate income is described as the greater of 115% of the median family income. To find out your USDA home loan eligibility, contact a specialized lender that offers USDA financing. What is a first-time homebuyer rural development loan? First-time homebuyers are given the choice of financing a USDA rural development (RD) loan that allows buyers to finance 100% of the home price. This means, buyers are not required to make a down payment, which is extremely appealing to first-time homebuyers. The RD loan is guaranteed, which means, if the borrower fails to make mortgage payments, RD will reimburse the lender for the loan. The RD program is appealing to borrowers for several reasons. For example, the down payment is not required for borrowers to make. However, buyers will still need funds for closing costs, inspections and mortgage insurance. The RD program also is more forgiving with the types of properties accepted for the loan. Especially since it is hard to find a more modern home in a rural area, the RD program accepts a wider variety of homes. Minor repairs can also be included with RD financing. This feature is appealing because repairs might need to be taken care of after buyers have moved in. By adding minimal renovation expenses, buyers can purchase a livable home. In addition, if buyers wanted to pay off their loan early, they will not get penalized for making an early payment, unlike other mortgage options. Lastly, there is no monetary limit on seller concessions or gift. Sellers can voluntarily pay for the buyer’s closing costs and they can receive an unlimited amount of funds from a family member or friends. This feature is very attractive to first-time homebuyers who have limited assets or funds available. What is a USDA home loan map? What is a USDA credit score waiver? People usually turn to finance a USDA loan when they have limited income. Majority of lenders accept applicants with a credit score of 640 and higher. However, if your credit score is under 640, applicants may choose to apply for a USDA home loan credit waiver. This option helps borrowers qualify for a loan who cannot meet the standard USDA underwriting guidelines. What is a USDA direct loan? The Housing Assistance Council (HAC) is a national nonprofit organization that focuses on providing financial assistance for low-income families purchase a home in rural areas of the United States. They created Section 502, a direct loan program that is run through the United States Department of Agriculture’s Rural Development Housing and Community Facilities Program officer (RD). Applicants who want to apply for a USDA direct loan must have very low income. According to guidelines, very low income is described as below 50 percent of the area’s median income (AMI); low income is described as between 50 and 80 percent of AMI. Families also need to be without adequate housing, however, they must be able to handle mortgage payments, mortgage insurance and taxes. Lastly, applicants must be unable to obtain credit, but have a decent credit history. The USDA direct loan has special terms compared to other loans. Direct loans can last up to 33 years and in other circumstances, 38 for applicants with incomes below 60 percent of AMI. The direct loan program does not require borrowers to make a down payment. A borrower’s payments will include principal, interest, taxes and insurance (PITI). The type of housing also must meet the direct loan’s requirements. For example, the size, design and cost of the home must be modest. In addition, the market value of the home must be within the Area Loan Limit. Your lender can help identify which homes meet these standards. Applicants that choose to purchase a newly constructed or existing home must meet the national model building code adopted by the state, the Internal Energy Conservation Code (IECC) and the RD requirements. These standards are implemented to insure families are purchasing livable and safe homes.